The 1996-97 Providence Friars were playing their best basketball of the season heading into the NCAA Tournament. The No. 10 seed in the Southeast Region, Providence upset No. 2 seed Duke to advance to the Sweet 16. 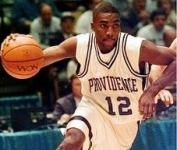 Led by Derrick Brown, Austin Croshere, Ruben Garces, God Shammgod, Jason Murdock and Jamel Thomas, the Friars would beat Cinderella Tennessee-Chattanooga before falling to eventual National Champion Arizona in the Regional Final. Pete Gillen's team finished 24-12. The 24 wins were the most since Providence's 1987 Final Four team. 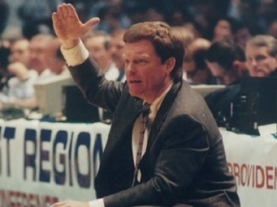 1997 marked the third time in school history the Friars had advanced to the Elite 8.